Every year most of us spend hours deciding which toys to get for the little people in our lives. Our own kids, nieces and nephews and, of course, friends’ kids. Each child has a different personality and a list that could confuse even Santa. 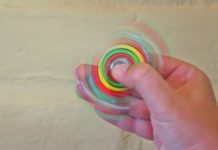 I have spent some time scouring the web for those toys that parents and kids love most. 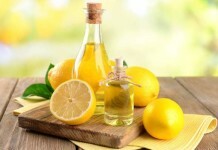 Read on to see if the delightful list can solve some of your Christmas gift giving puzzles. It is a classic construction toy and for good reason. Parents love that kids can build and learn while they play and kids love the latest themed box sets. Look for Minecraft, Star Wars, Friends and Elves. Not to mention the ever expanding Chima, Superhero, Ninjago and Lego movie ranges. (Tip: adults love the master builder architecture sets that include many of the world’s architectural wonders.). Suitable for ages 5 and up. Have you seen the giant Lego Christmas tree in Melbourne? We have still to meet a pre-schooler or first-time reader that would not just adore this book that inserts the child’s name into the story. As the main character, the child travels around Australia with Kanga Jack reading about exotic places and acquiring fun facts. Available here it’s wise to get one before stocks run out. 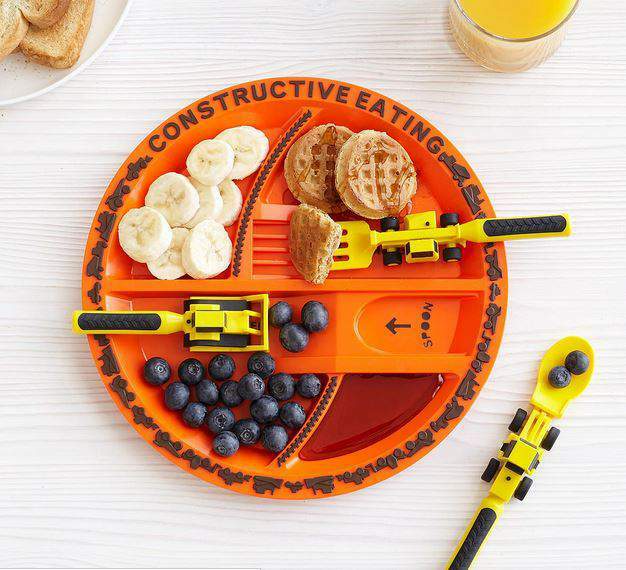 Make mealtimes fun with this construction themed cutlery and plate set. Reviewers say their picky eaters eat more when using this plate and that the cutlery is easy to use and clean as well as durable. 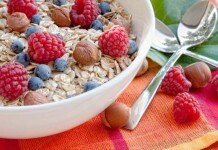 For the more girly version see the garden plate and utensils. Naturally, some kids would rather just play with the utensils instead of reserving them for at the table. With a new generation ready to start reading the iconic series of JK Rowling’s books, this beautifully illustrated version of Harry Potter and the Sorcerer’ s stone (originally Harry Potter and the Philosopher’s Stone) will delight young and old Hogwarts fans alike. The hardcover collector’s edition features full-colour illustrations by renowned artist Jim Kay. 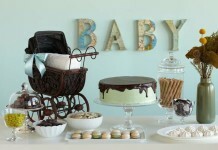 Judging by the reviews this is one of the most well-designed play kitchens out there. 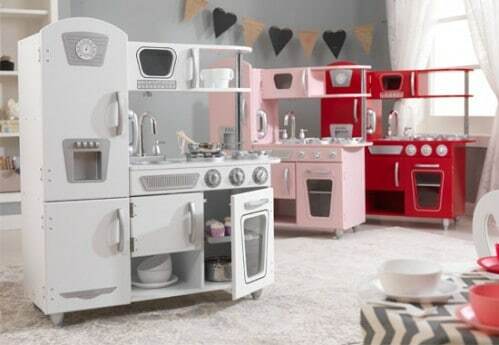 With solid wood pieces, storage for play food, a refrigerator and microwave – it keeps little chefs (aged 2-6) entertained – while parents prepare food for the family. The only complaints are about the assembly – but with some concentration the result is well-worth the trouble in everyone’s book. On the educational side, the toy is a valuable life skills teaching tool. Shop for the best deal on . 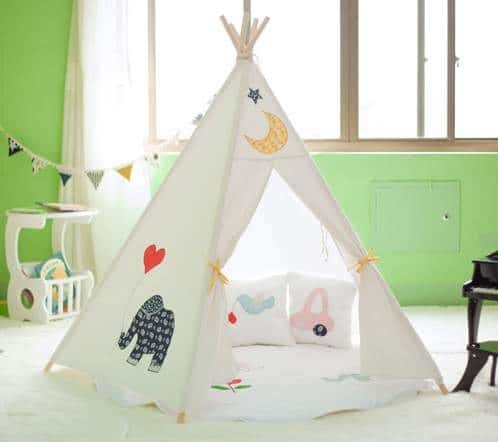 A cotton canvas teepee is the perfect den for younger kids. 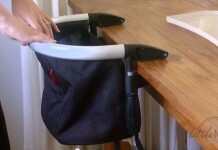 Easy to assemble, it’s meant for indoor and outdoor use. Pick a design to suit your décor and encourage pretend and active imaginary play. Ideal for toddlers who love to build forts. Popular with toddlers the Octonauts animated series have sprouted character and other play sets. The characters are ideal for encouraging imaginative play. Reviewers insist that kids (3-4 years) continue to play with them day after day, never getting bored. No wonder, since the Octonauts go on a new adventure with every episode! 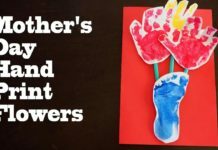 Lasting quality and entertainment value means visiting toddlers will still enjoy playing with these long after your children have outgrown them. The characters and cars are available alongside an array of game sets (airport, amusement park, fire station and Disney princess castle) so you should have no trouble to find the perfect set for the toddler in your life. 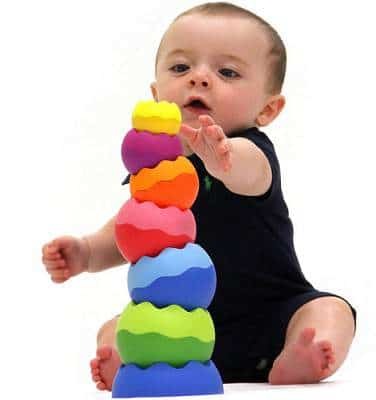 The toys encourage imaginary play while helping to develop coordination and language skills. 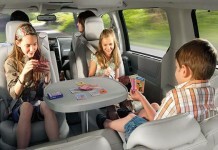 The toys are ideal for children between 18 months and five years. Probably one of the parent-friendly inventions of the decade. 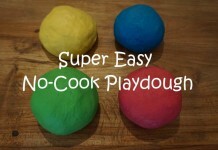 Sand that does not make a mess is non-sticky yet moulds easily. Since the sand clumps together instead of scattering all over it’s perfect for indoor and outdoor construction play. Available in a range of sets it comes with moulds and accessories to encourage creative play for ages 3 and up. Some sets include storage boxes making it easier to pack away and play with another day. 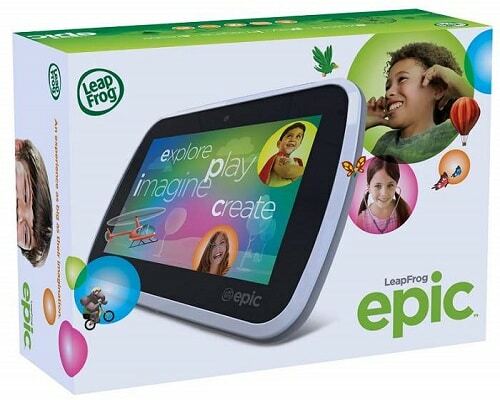 Designed for kids between three and nine years old, the Leapfrog 7″ tablet grows with your child. The Android tablet comes with a range of pre-loaded games and books from the Leapfrog library and allows you to download more via Wi-Fi. New for the Epic is the ability to download games and books from the Google Play Store. It includes a 2-megapixel camera and 16GB memory. Perfect kids’ tablet before they graduate to the real thing. 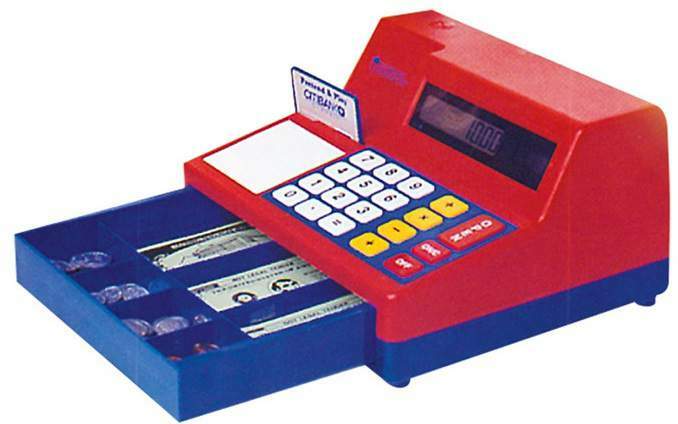 Recommended for children older than three and younger than nine, the cash register includes play bills and coins and serves as a calculator too as well as a booklet with suggested activities. Ideal for learning about working with money while pretending to buy and sell goods (kids just love this game). 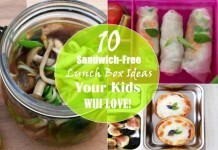 Parents love that it is solar-powered, eliminating the need for batteries. 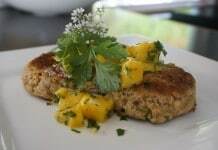 While not new, it remains a firm favourite with parents and children. Encouraging motor skills and listening skills, toddlers can play along to nine pre-recorded tracks. They can play along following the LEDs that light up and learn about numbers and letters while they play. 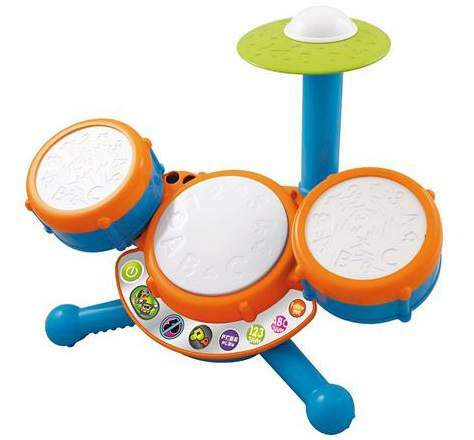 Each drum and cymbal has a unique sound to encourage sensory development. Of course, toddlers love to bash things too. So short of possible sensory overload for the parent, this small drum set is still a great toy. Recommended for children aged three to four. With everything included to create your own miniature garden in the glass jar that is provided, this is the ideal gift to teach kids about how things grow. 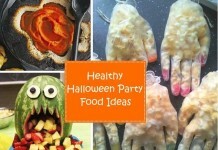 Add the glow-in-dark stickers and even those kids who have everything will enjoy this. 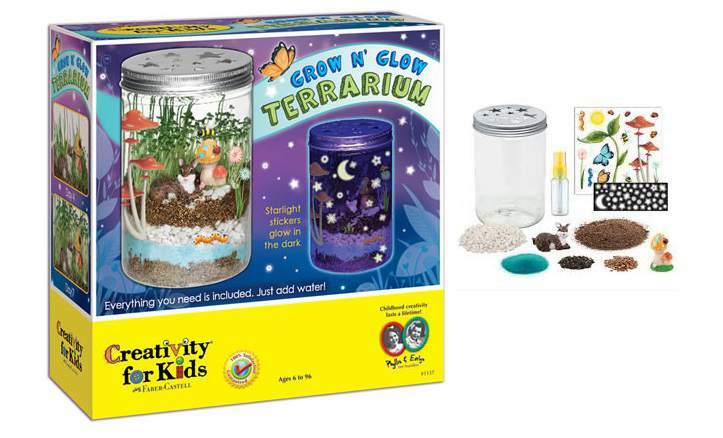 The terrarium assembly encourages together time while putting everything together for younger kids too – the manufacturer recommends the toy for kids older than six. The set includes enough materials for two plantings. 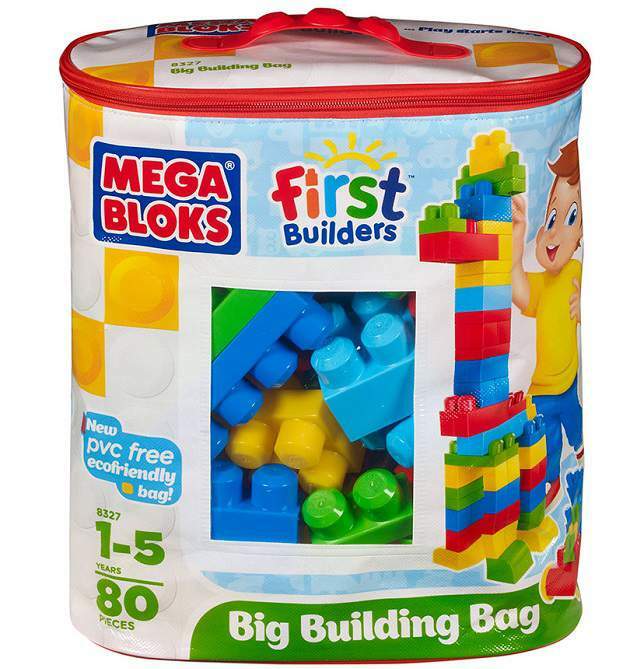 Spot-on for beginner builders (aged 1 to 5) the larger construction blocks included in this bag promises hours of fun. Construction toys boost young imaginations and help with coordination and fine motor skills. These sets include wheels to build cars and have enough blocks to build and demolish towers (80 blocks). Who said tents have to be tepee-shaped? 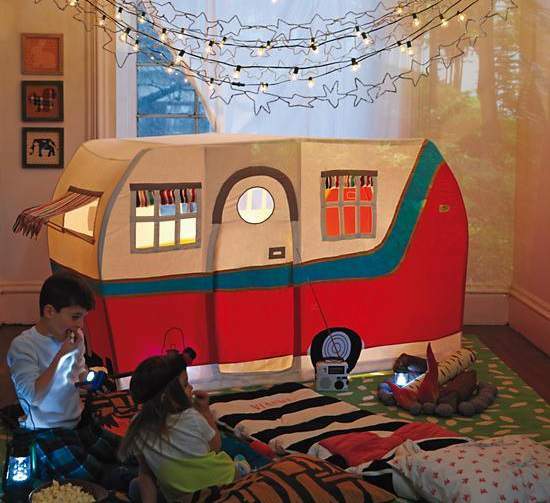 This canvas camper tent is big enough for more than one child to play in and could work for a slumber party too. 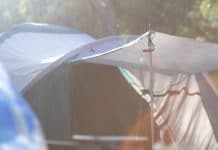 Parents say kids older than three love this and spend hours playing, sleeping and reading in the tent. Since Minecraft is all the rage you might find that crystal growing is not only for science geeks anymore. 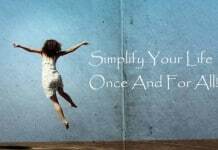 Seize the opportunity and teach kids about chemistry and experimentation. Your child will have to pay attention to the instructions to grow successful crystals and you could spend some time as the lab assistant. The suggested age on the box is ten and older. 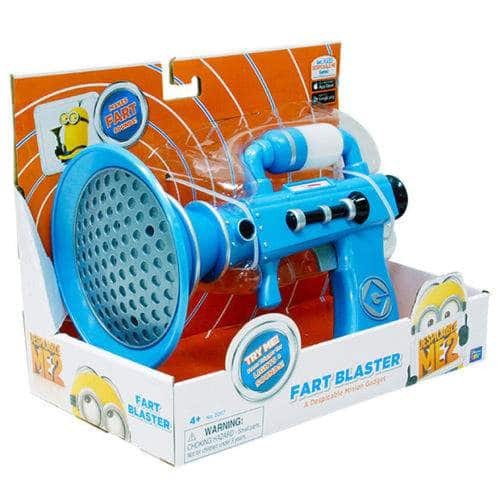 Anyone with young kids in the house will understand the lasting appeal of the fart blaster. 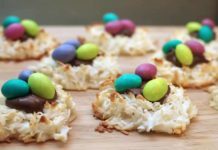 Not new, but a favored choice that will certainly earn you brownie points with the young recipient. The blaster comes in Amazon’s frustration free packaging (no annoying cable ties or plastic wires holding the toy in place) and makes various fart sounds. Note: the parents may be less impressed. Suggested for kids older than ten, but no doubt five to eight-year-olds would love this too. 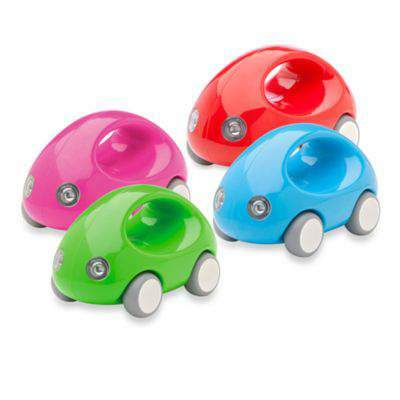 Perfect for 0-3-year-olds, this toy, is rated one of the best for 2015 by Mum’s Grapevine. 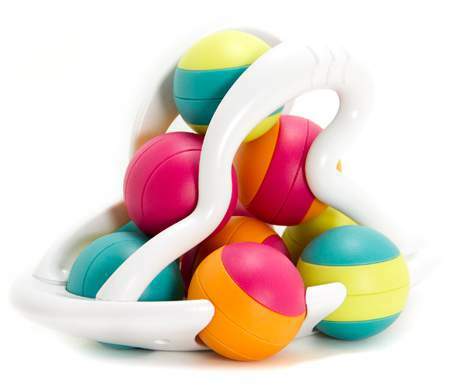 The stackable balls fit inside a rack, encouraging gross and fine motor development while providing fun playtime for your little one. You can push the toy in all directions and watch the colourful balls rotate while you push the assembled toy. Reminiscent of stacking, these stackable shapes add a new dimension to balance play. Ideally demonstrated while you are enjoying floor time with your 1 to 4-year-old, the weighted balls will roll in interesting directions and can be stacked in a variety of ways. 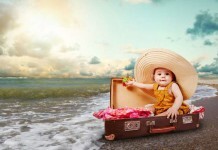 The push-type cars and planes fit little hands easily and babies as young as nine months love the toys according to reviewers. No batteries, no lights, just simple vroom-vroom fun. 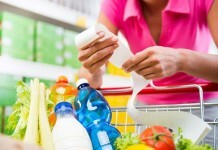 They are BPA, PVC, phthalate and lead-free and made to last. The cars assist with hand-eye-coordination development while building confidence and developing motor skills. There you have it, a line-up of safe, fun toys for all age groups. Have fun shopping! 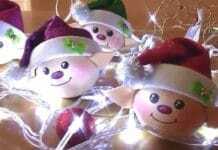 What are your favourite toys and games for the 2015 Christmas Season? Let me know in the comment section below.